Crystal Nielsen here of @CrystalAnnInteriors from NYC! Excited to have this chance to be a guest writer for Room & Board‘s blog, a company I have always been drawn to and have purchased from in the past. 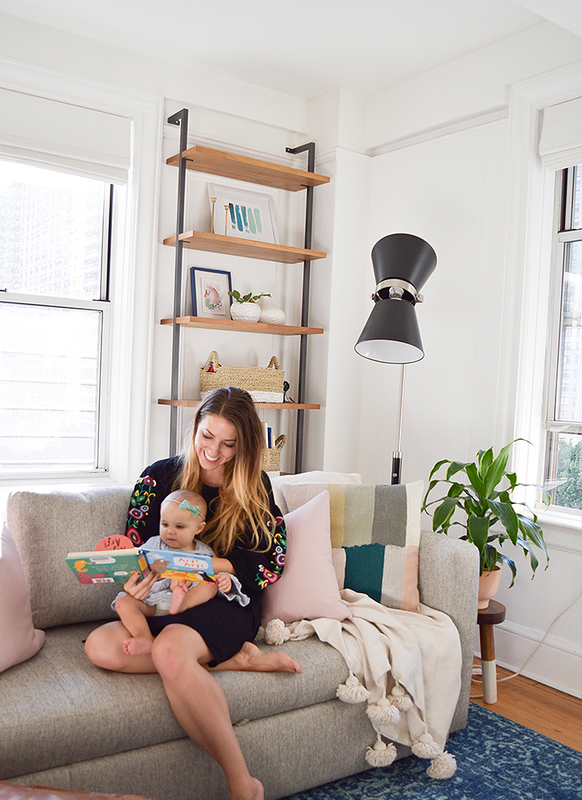 When I had the wonderful opportunity to partner with them to get a beautiful new piece of furniture for our small Manhattan apartment (which we just moved into), I didn’t waste any time figuring out what would be the best piece of furniture for our home. Living in a small space requires one to apply the KonMari method when deciding on what furniture items you want to fill your space with. If your furniture doesn’t entice you to jump for joy, chances are it’s time to bid those pieces of furniture adieu. When our family of four decided to make the move to NYC we saw it as an opportunity to start over with a clean slate. We sold our house furnished! Literally came to NYC with not ONE piece of furniture! When deciding on furniture I always try to purchase multipurpose pieces that have a healthy balance of design and functionality. 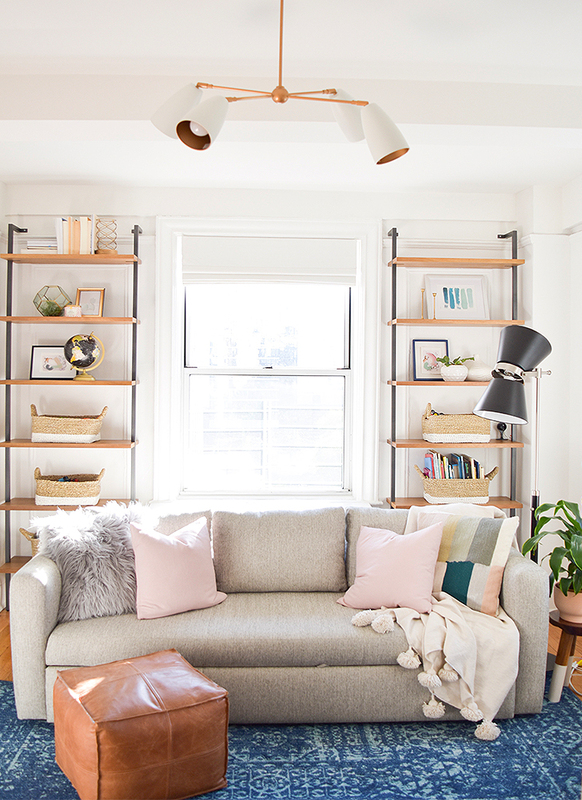 When you live in a small space it’s helpful to make your furniture and space pull double duty. For example, in addition to being a bedroom, our children’s room also serves as a reading area, play area, storage area, and every once in a while a home office. As we have begun settling into our new home we also wanted this room to serve as a place for visiting family and friends (I know that is a lot for one room!). I knew we needed a sleeper sofa to maximize the space, but had yet to discover one that caused me to jump for joy or was actually comfortable. Most of us at one point in our lives have slept on a “traditional” sofa bed that consists of a sorry excuse for a mattress folded up inside of a couch that weighs more than a car. I was determined to find something else and that’s what led me to the sofa bed I discovered at Room & Board. No more folded mattresses or waking up with a stiff back, this, my friends is the real deal. 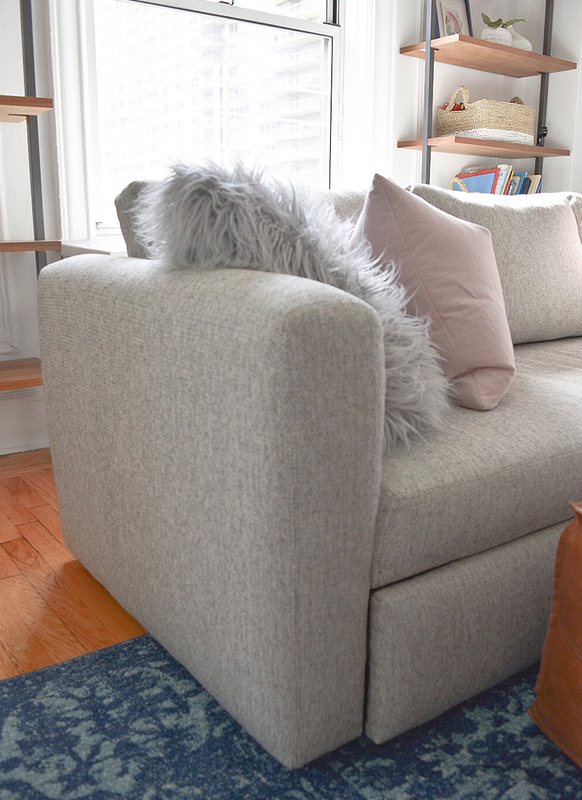 Not only is it completely unlike any sofa bed I have ever seen, it is also comfortable, minimal, and durable enough to withstand children and pets (now that is saying something!). If there is one piece of furniture in our apartment that makes me jump for joy it is our Oxford pop-up sleeper sofa from Room & Board! Room & Board gifted the Oxford pop-up sleeper sofa to Crystal Nielsen for her space. All opinions are her own.